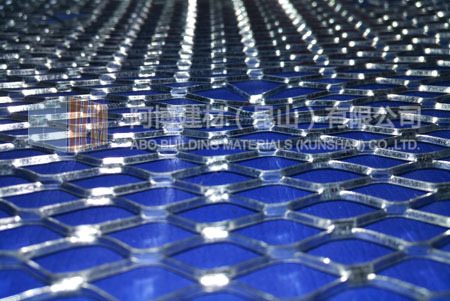 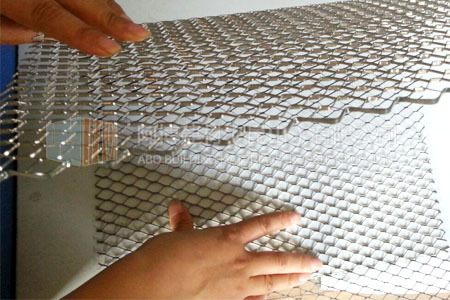 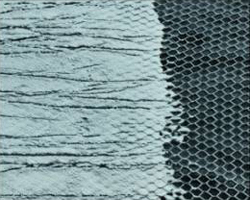 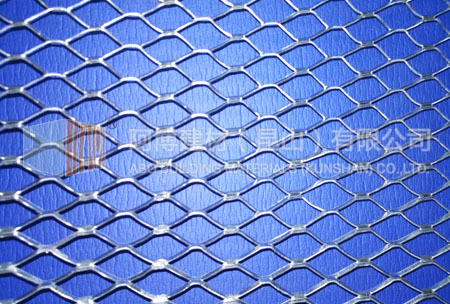 Diamond Mesh Lath is produced from thin galvanized steel strip, its LWD are lined regularly, and the mesh strand formed diamond shape with special structure, Self-furring embossed "V" groove holds the lath away from the surface to aid in the keying of stucco to the lath. 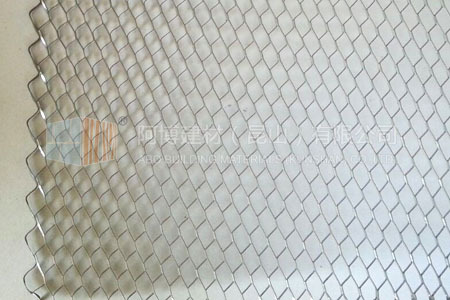 Application: wall, reinforcing, construction crack, Plasterer network in industry, civil construction, irrigation, municipal, transportation, road, infrastructure and other projects, mainly for residential wall plaster, decorative building, repairing and reinforcing the warehouse. 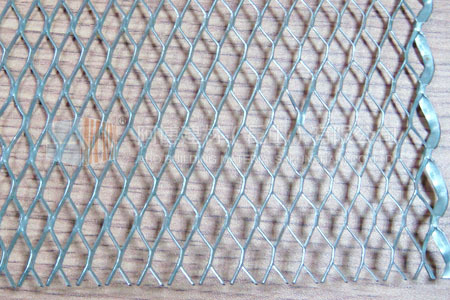 Mesh size: 27" x 96"
Scratch coat is being applied to "V" Groove Self-Furred Tilath. 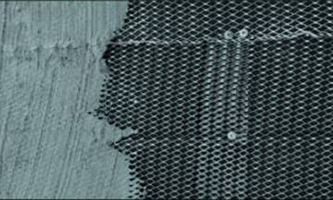 uniform curing of this plaster foundation.